Indian roads are known for being extremely unpredictable. There are hundreds of accidents that happen on the Indian roads every month. One needs to be extremely careful on the roads, especially when riding fast. 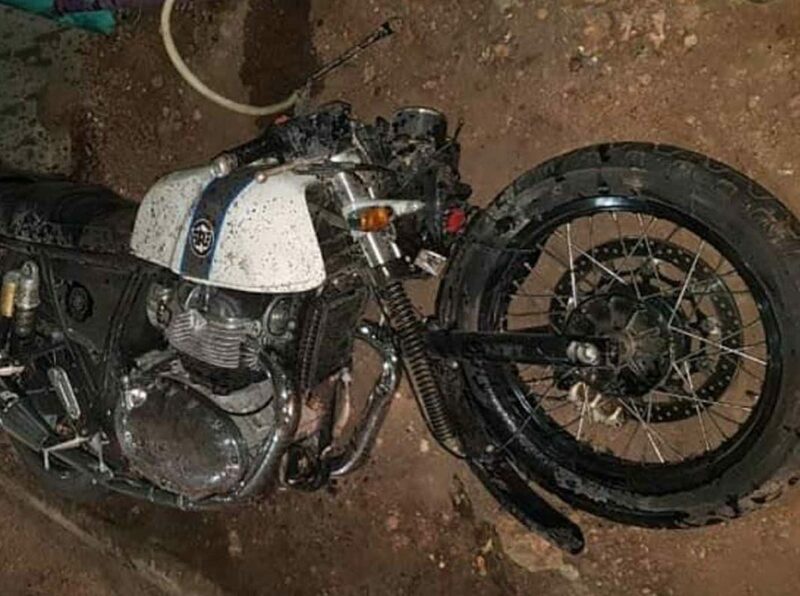 This Royal Enfield Continental GT 650 rider learnt that in a hard way when a rider crashed his brand new bike in a high-speed accident. The accident happened in Cochin, Kerala and this was one of the first Royal Enfield Continental GT 650 bikes delivered in the city. The rider who just took the delivery of the bike was still in the running-in period when the accident happened. As per eye-witnesses, the Royal Enfield rider was too fast on the streets and he hit a slow moving scooter from behind. The high-speed of the bike caused him to lose control. The motorcycle hit several obstacles before coming to rest on the sidewalk. The condition of the bike is gruesome. The front suspension has taken most of the hit and it is now bent and broken from the middle. The body of the bike has also suffered a lot of damages and scratches. It looks like that the speed was close to 100 km/h, which is very dangerous on the city roads. Riding or driving fast on the Indian roads is extremely dangerous. It is important to follow the speed limits set by the authorities all the time. Indian roads are full surprises and at any moment, a stray cattle or a dog can jump in front of your vehicle. It is extremely difficult to control a vehicle at high speed and the brakes also take a longer time to slow down the vehicle. There are many pedestrians and jaywalkers who have caused major accidents in the past. One should be aware of the surroundings while riding or driving on the Indian roads for their own safety. No matter how good or well equipped a motorcycle is, the rider has to take responsibility of the actions and be in control all the time. 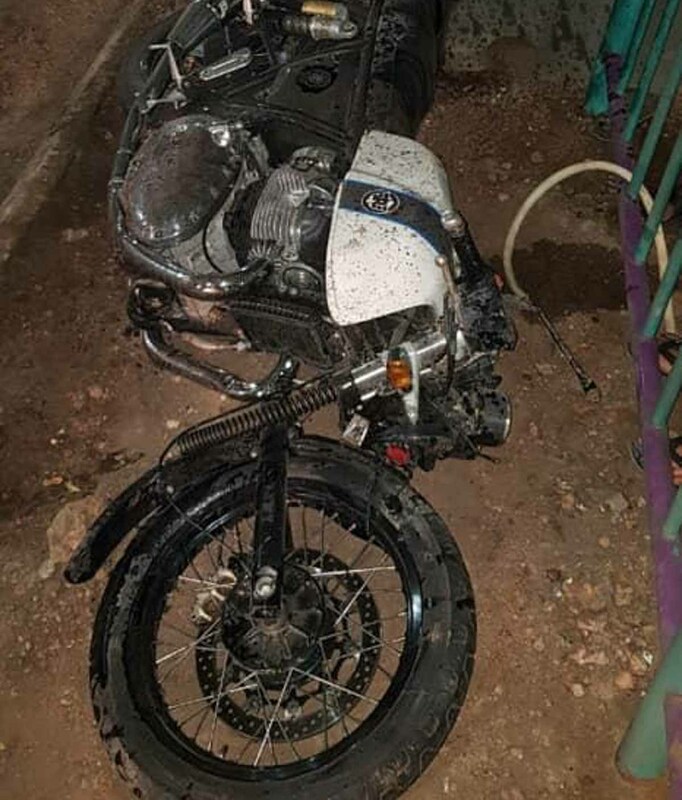 Despite having dual-channel ABS as standard, the Continental GT650 could not escape without damages proving that riders have to be sane all the time.